Lieutenant Arthur Trevor Williams (Welsh Fusiliers attached Royal Flying Corps) is killed at age 21. He is the grandson of Alderman Thomas Hughes Mayor of Beaumaris. Second Lieutenant Thomas Ernest Wray (General List attached Royal Flying Corps) is killed at age 19. His brother was killed last July. Pioneer Arthur James Bowstead (Royal Engineers) dies of wounds received in action at age 58. He is probably the oldest person from Cheltenham to lose his life in the Great War. 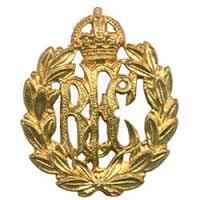 Private Charles Robinson (Cheshire Regiment) is killed at age 42 in an air raid at Calais. His brother was killed in April 1916.